I very often get asked by folk who want to start growing there own vegetables from home, What size greenhouse should I have? This isn''t an easy question to answer because there are so many variables, how many people do you want to feed? Will the greenhouse be used just to bring on plants or to grow in all year? 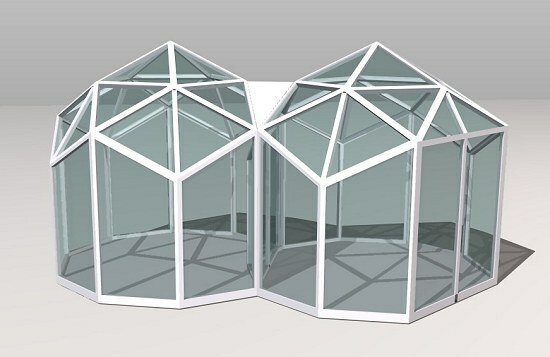 How much do you want to spend on a greenhouse? etc. 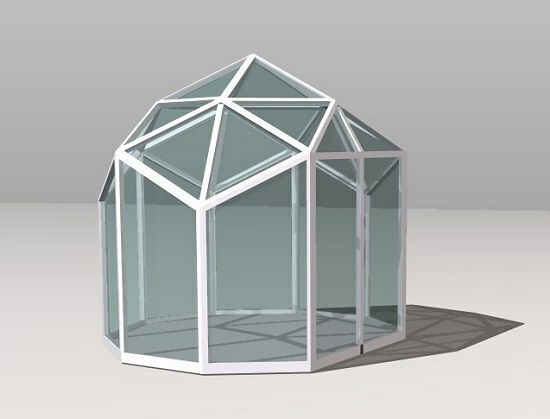 I thought that the best way to solve this problem would be to design a modular dome that you could enlarge as your needs grew, there doesn''t appear to be any greenhouse suppliers in the marketplace that offer a greenhouse that you can extent after purchase. The design I settled on was based on the triacontahedron, a very interesting polyhedra with only one diamond shaped panel throughout the whole structure, with a bit of tweaking I ended up with a very simple structure with only 2 separate panels which can be joined together in loads of cool ways. 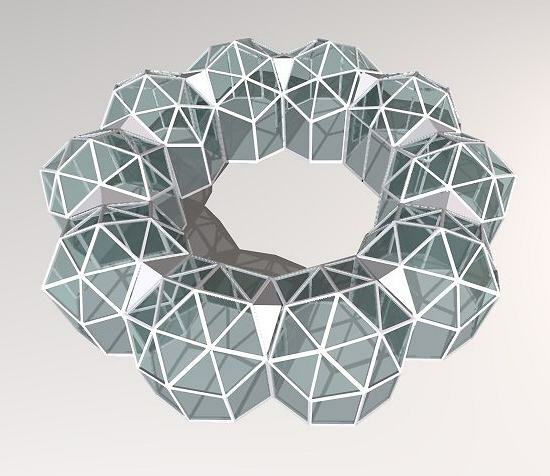 In the ten dome circle render above there are are only 4 different parts A diamond with brace strut, a half diamond, the side frames and the white peaked roof section that joins the domes. Plans are now available for a 3m diameter Solaris if you need other sizes drop me a line.